Mercedes-Benz is known for their luxury, high-performance vehicles that remain at the top of the list of German-engineered vehicles sold in America. They are fast, durable, and efficient, making them a commodity in the auto industry. However, like every engineered machine, Mercedes vehicles have their fair share of issues. Some issues are model-specific and occur only in certain Mercedes engines. One issue that is commonly seen in repair shops is a faulty balance shaft gear. If you are car enthusiast, you might know what this part is responsible for; if not, let us give a little information on what the part does, whom it affects, symptoms of failure, and how to fix it. Above all else, it is critical to have the problem assessed by a professional to be sure symptoms are not due to another engine problem. A balance shaft gear is a part of a vehicle’s engine that is designed to help balance out the components of the engine and eliminate vibrations at higher speeds. 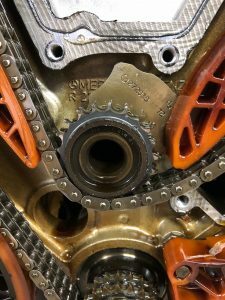 Balancing the movement of the components of the engine simultaneously requires a balance shaft gear to offset the disproportionate weight of the motion that is specifically created when your vehicle accelerates to higher speeds. 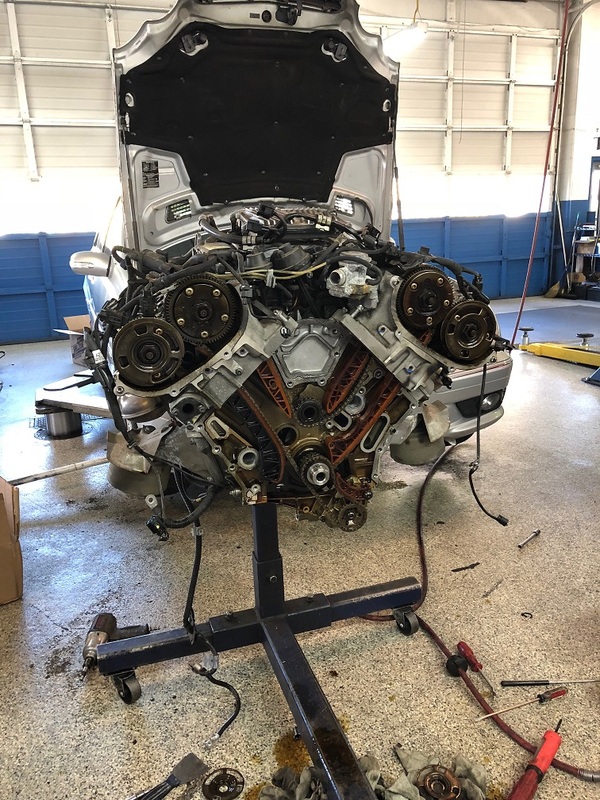 Balance shaft gear problems are most typical among V6 piston engines, primarily the Mercedes M272 in models manufactured between the years 2004–2008. Furthermore, the symptoms may come on suddenly around more than halfway to your 100,000–mile engine check–up. While these issues are common, they are certainly frustrating for Mercedes drivers who expect quality and reliability from such luxury performance vehicles. The symptoms associated with a failing balance shaft gear are common symptoms of other engine issues, so it is critical to have the problem diagnosed by a professional. Some of the signs of early deterioration of the part include: rough idling and rough running including engine stalling and engine misfiring; intensified rattling noises with increased acceleration; and the illumination of the check engine light. These symptoms are concerning for Mercedes drivers, as well they should be. Driving a Mercedes with balance shaft gear issues can be detrimental to your engine and should be avoided until the issue is resolved. Worn out balance shaft gears can cause significant damage to other engine parts; therefore, addressing the issue sooner rather than later can substantially reduce repair costs. The best way to address a balance shaft gear issue is to replace the part. Unfortunately, this can be an expensive replacement and associated costs can rise to up to 4,000 dollars. However, due to several class action lawsuits, the Mercedes manufacturer may cover the costs of the repair. It is important to note that the costs will likely only be covered for specific Mercedes models and years. Furthermore, the manufacturer may only cover a portion or percentage of the costs. If you have concerns about the cost of the repair, it would be in your best interest to contact the manufacturer to find out more information. If they choose not to help cover the costs, you should shop around for an experienced auto repair shop that can provide affordable, reliable, and specialized repairs for Mercedes vehicles.